Developed with the full support of creators Sam Raimi, Robert Tapert, and Bruce Campbell, Evil Dead: A Fistful of Boomstick allows players to assume the role of Ash, the chainsaw-armed hero from the Evil Dead trilogy. Players will fend off hordes of Deadites with several weapons including the shovel, gatling gun, shotgun and chainsaw. Massive game environments include all new Evil Dead locations as players attempt to save the town of Dearborn from the influence of the Necromonicon ex Mortis â€“ the Book of the Dead. Evil Dead: A Fistful of Boomstick mixes the comedy and fun of a campy horror movie with intense combat missions for the most complete Evil Dead game yet. State of Emergency is a "man against the mob" arcade-like fighting game where you are a member of an underground resistance movement, dedicated to liberating your people from the oppressive Corporation. Use hand to hand combat, weapons, and anything ..
NARC is an in-depth, 3rd-person action/shooter video game set against a stylized modern-day backdrop of the War on Drugs. Playing as dual characters, Jack Forzenski and Marcus Hill, in the elite NARC squad, players must rid the world of the powerful .. 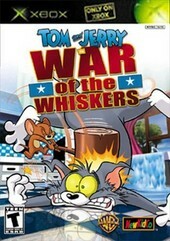 In this beat-em-up game designed for a family audience, you're able to select from the largest Tom and Jerry cast ever assembled, and battle it out within a variety of arenas styled after timeless cartoon scenarios. Tom and Jerry are joined by Spike,..